Home » Brahmanandam » GhibranVamsi » Gopichand » Posani Krishna Murali » Pramod » Prbhas Srinu » RadhaKrishna Kumar » Rasi Khanna » Srinivas avasarala » Jil movie Release Date . Jil movie Release Date . Gopichand Jil movie going to Release on March 27th . 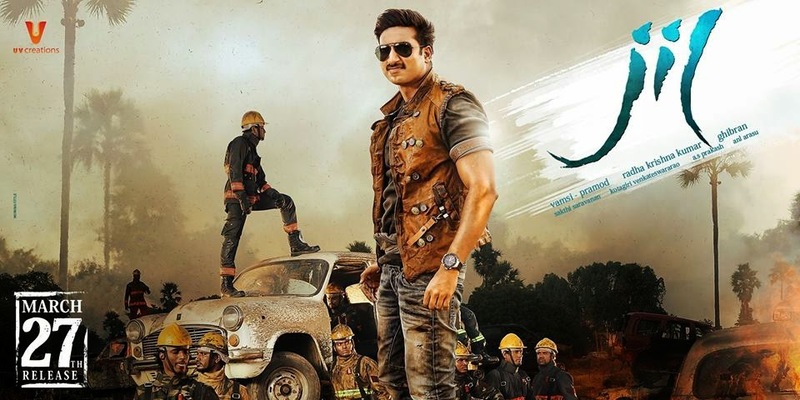 The audio of Gopichand and Raashi Khanna starrer, 'Jil', was launched recently and the songs composed by Ghibran have got a superb response. 'Mirchi' producers Vamsi and Pramod, who are producing this film on UV Creations banner, said that the film will be released worldwide on March 27th. They said, "The film will be released in large number of theatres on March 27th. The film will reach the huge expectations on it.Gopichand has never played a role like this and his performance will be the highlight of the film. This film has the stamina to become the biggest blockbuster in his career.The chemistry between Gopichand and Raashi Khanna is very good. Not only songs, the re-recording of Ghibran is also very good". Gopichand, Chalapathi Rao, Brahmanandam, Posani Krishna Murali, Supreeth, Kabir, Harish Uttaman, Srinivas Avasarala, Amith, Prabhas Srinu etc acted in the movie.